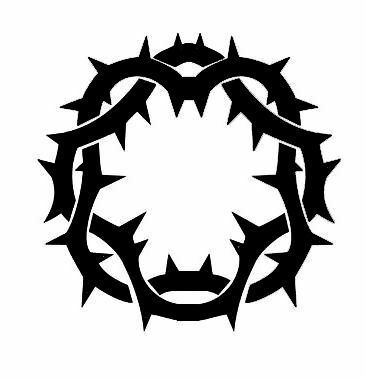 Learn about complete methodology to draw a crown of thorns in easy way. This is easy step by step video for beginner level artist of sketching. So try it on paper with pencil and must submit to us your arts. If you are to a certain degree attached to religion, you must have got an idea of what we are going to draw. If not, stay with us, we will let you know what a crown of thorns really is. We will draw an easy and step by step pencil picture of a crown of thorns video tutorials for school kids and beginners in drawing. Talking of etymology about this crown, according to canonical gospels crown of thorns was placed on the head of Jesus during the events leading up to the crucifixion of Jesus according to Christian faith. It was done by his antagonists to give him pain and to mock his message. This crown is used as a relic still found in Jerusalem along with the cross on which he was allegedly hanged and a nail upon which he was scourged. It was believed to be present in a church on mount Zion at the end of 6th century later moved to Byzantium and France as relics. It is believed and owned by many people as they have the relics of the crown, but not all of them are real, some of them are of third class and were fabricated for political purposes. According to Revelation 19:16; Jesus was, and is, indeed a king. One day, the entire universe will bow to Jesus as the “King of kings and Lord of lords”. There are many verses in Gospel of Mathew about crucifixion and crown of thorns. Watch the video below and watch our other videos and articles about history of our drawings. Share this video on social media and your classmates and siblings. This delicate drawing will give you much experience to tackle with difficult drawings in near future.